Drain the potatoes and place them back in the pot. Put the pot back on the burner and shake to dry the potatoes and to rough up their surface. 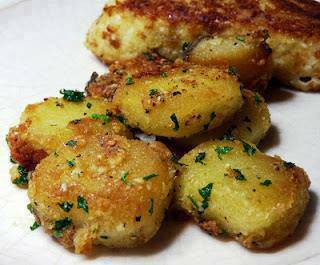 garlic, salt and pepper and continue roasting until potatoes are tender. Turn at least one more time for even browning.